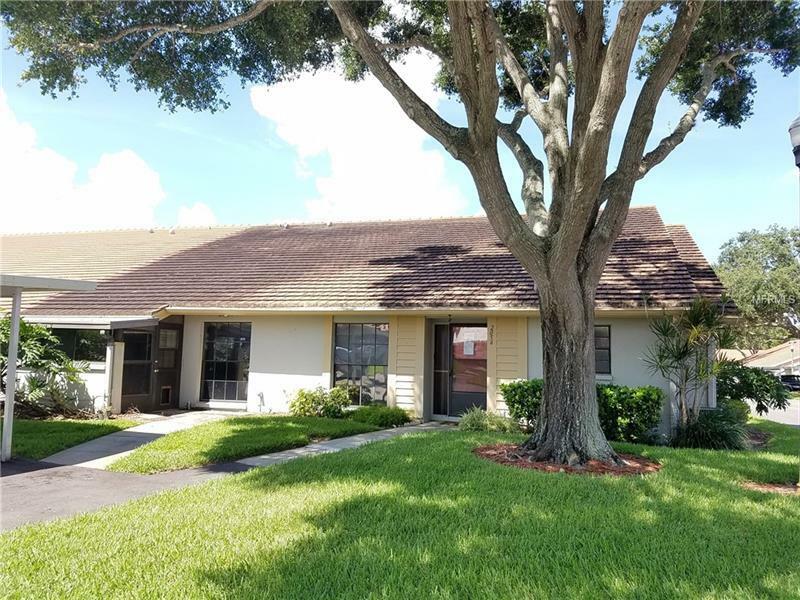 * * * NEW ROOF TO BE INSTALLED (tile on order) * * * Rare opportunity to own one of the largest corner units in Villas of Lake Arbor * * * A wonderful 55+ community that is extremely well maintained and offers a large pool and park area overlooking a tranquil lake. 1547 heated square foot one story villa with soaring vaulted ceilings that makes it look even bigger. Great room consisting of a living and dining areas. Office with French doors off living room. Split bedroom plan with oversized master bedroom that has an enclosed patio. Large galley kitchen with eat in space. Inside utility room. * * * GREAT LOCATION * * * Just minutes from Publix shopping center and Countryside Mall. Lots of local restaurants close by. Just a short drive to Clearwater Beach and the world famous white sands.